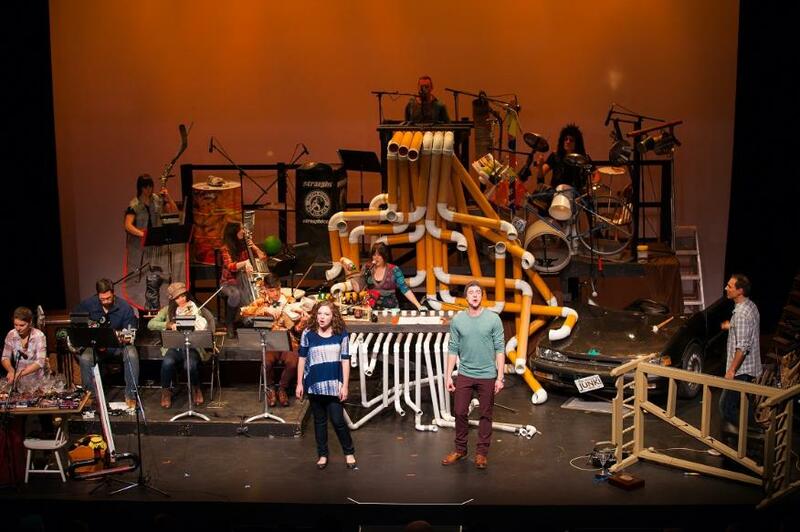 The Music of Junk Ensemble Show is an exciting, feel-good, family concert experience with singers and musicians performing original music on imaginative, invented instruments built from recycled materials. Stories of the junkyard unfold through a garbage can cello, a bed frame harp, PVC tubing, different types of percussive instruments and much more junk, all adding to the originality of this orchestra of the imagination. Mixing pop-rock with folk, blues, orchestral and even Scottish music, the songs unveil the cleverly imagined history of the junk-turned-musical-treasures, while demonstrating the unique sounds each instrument emits. The audience leaves the show humming tunes and at the same time looking at recycling in a different way. The Music of Junk is a visual experience as much as it is musical that the whole family can enjoy.